Career & Life Planning works to help create the ideal balance between your personal and professional life…. jointly. We support individuals at all levels in their career and life journey and have a range of services that support Teens right through to senior Executives who run large complex multinational organisations. Unique to Career & Life Planning is our Coaching Methodology; “The 5 Steps to Success” which we adopt to suit different individuals and groups that we work with. Our processes, techniques and support systems enable individuals to perform to their best in their professional and personal lives consistently and we have our own dedicated panel of Highly Skilled & Competent “Career Employ-ability Specialists” that work with you to help you develop that potential. Our business services focus on different market and include the following services; Career Coaching, Life Coaching, Youth Coaching, Executive Coaching, Management Development, Activation Services, and a variety of Training programmes. Career & Life Planning has developed a unique coaching methodology that is used by individuals and companies to help deal with change and learn new techniques to enable them to get to Enjoyment & Success in their lives. This methodology called “The 5 Steps to Success” is at the core of all our coaching and training programs for both organisations and individuals. Career & Life Planning offers a range of online personality and psychometric testing service in conjunction with Thomas International – one of the global leaders in personality assessment. Thomas has been at the forefront of assessment innovation for 35 years. They provide assessments in 56 languages and have a presence in over 60 countries. 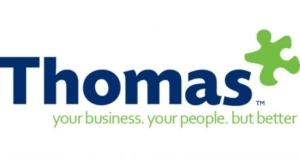 Today, they are working with 32,000 companies and 300,000 trained Thomas users worldwide. Their clients span every type of business of all sizes; completing over 1.5 million assessments every year. We are a licensed facilitator of the acclaimed 7 Habits of Highly Effective People. It is based on the proven principles found in Dr. Stephen R. Covey’s acclaimed book, The 7 Habits of Highly Effective People. Right Management are global career experts. Established in 1980, they have over 35 years of experience in career management and talent strategy. In that time, they’ve put 400,000 people to work every day, conducted over 12 million interviews per year and successfully transitioned more than three million people into new roles. 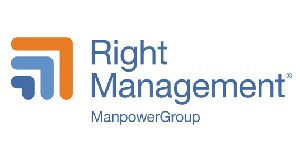 Visit the Right Management website here! Just a quick email to say thank you so much for the interview coaching we did last week. It was a huge benefit to me and I certainly delivered a much improved interview after our coaching. The coaching with Joe has been invaluable. Over the course of just 4 sessions, he has helped me to clear my head of so many things from my past and helped put goals around my life. His approach is very professional and doesn’t let you away with anything during the coaching sessions. I was very frustrated with work and couldn’t seem to enjoy my home life with kids as I was so stressed. I contacted Joe and we went through the wheel of life exercise. It’s amazing what you get out of seeing your life on paper and how happy you are with it. AerCap have been clients of Career & Life Planning for a number of years and regularly work with them on developing programs for our leadership and management development teams. The feedback I’ve received has been superb and Joe and the team really understand the nature of our industry and the challenges we face. 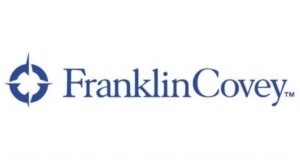 We’ve worked with Career & Life Planning for a number of years in both delivery of corporate training for our clients including Management Development (Franklin Covey) and Executive Coaching Programs. We’ve always found our feedback reports from our clients to be excellent regarding content, style, formatting and flexibility in adapting to client requirements.